Looking for Help with your Hail Claim? We don’t see much hail in Florida, however, when it hits it can cause extensive damage to roofs, cars, windows, gutters, HVAC Systems, etc. Unfortunately, we have noticed many insurance company adjusters and even some other public adjusters are not very well versed on what to look for on hail claims and in turn, how to properly adjust Florida Hail Claims. Our team includes Past Insurance Company Adjusters that have been deployed and worked major hail storms throughout the country, we know how to properly identify and document hail damage. Unlike the roofing companies, that you are likely seeing canvas your neighborhood offering ‘free roofs’, our Public Adjusters know how to properly investigate Florida hail damage claims and we will give you our honest opinion. If any roofer or contractor is telling you that they can handle your claim for you, run, don’t walk as this is a felony and for good reason. We offer a Free Claim Consultation where we will review your damages and policy, discuss the claims process in detail and leave the choice of whether or not to file the claim up to you. Complimentary Florida Hail Damage Claim consultation! Florida Hail Damage Claims Experts that can represent YOUR interests. Did you know that large hail stones can fall from the sky at speeds above 100 miles per hour? Hail storms can and will damage Automobiles, Roofs, Gutters, Siding and even your A/C Condensing unit can become damaged. In fact, on average hail causes more than $1 billion dollars in damage to properties and crops every year. When there is damage to your car or siding it is typically pretty obvious, the tricky part of hails storms is identifying hail damage to your roofing system. 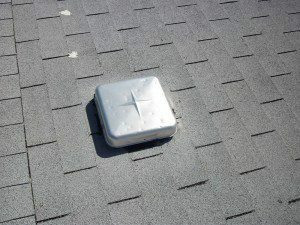 Roofing systems need to be inspected by a roof inspector that has specific training and experience dealing with hail damage to roofs. It is much different than looking at a roof after a hurricane where there will most likely be missing shingles and damage that is visible from the ground. 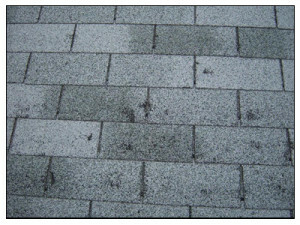 Identifying hail strikes that damage a roof can sometimes be difficult to see even when on the roof unless you have experience and know exactly what you are looking for. Just because you don’t see the hail damage yourself does not mean that you don’t have hail damage. If you know that hail struck your home, do yourself a favor and have it inspected. However, beware of the roofing contractors going door to door offering free roof inspections as some may be honest business people while others are simply looking to sign up as many new roofs as possible and they may tell you that your roof is damaged whether they see any damage or not. As licensed Public Adjusters we do not charge any upfront costs for our services. We do offer free damage inspections if you suspect that your home has been damaged by hail or any other peril. We work on a contingency fee and only get paid when the insurance company makes a payment for your loss. Therefore, we do not wish to waste our time and will only ever be very upfront and honest with our findings. What can you do if your Florida hail claim was denied or underpaid? Who can you turn to for help with a hail claim in Florida? Whether your Florida hail damage claim was denied or underpaid it does not mean that you have to sit back and accept it. The insurance company has engaged their adjusters and or other experts to inspect the damages and represent their interests throughout the claim process, shouldn’t you have someone looking out for your interests? As licensed Florida Public Adjusters that is exactly what we do. We are hired directly by you, the policyholder and will represent only your best interests throughout the hail damage claim process. If there has been a hail storm in your area we highly recommend having your roof inspected by a qualified roofing professional. If you are located in an area that we service, we will gladly inspect your roof at no upfront charge to you as the homeowner. Free Florida Hail Damage Claim Consultation!